Kaff–eine is an established street + contemporary artist within Melbourne’s globally–celebrated street art scene. Since 2010 she has garnered a strong following among Australian and international street art lovers + art collectors, who are drawn to her illustrative freehand style, delicate linework, + quiet melancholic characters. She has been invited to paint her artwork, created with aerosol, acrylic paint + pigment ink, on public + private walls across Australia, Germany, France + the Philippines, in galleries, businesses, homes, and on the streets. Kaff–eine has also illustrated two successful children’s books (The Promise + Vera), + has exhibited in solo + group exhibitions throughout Australia. 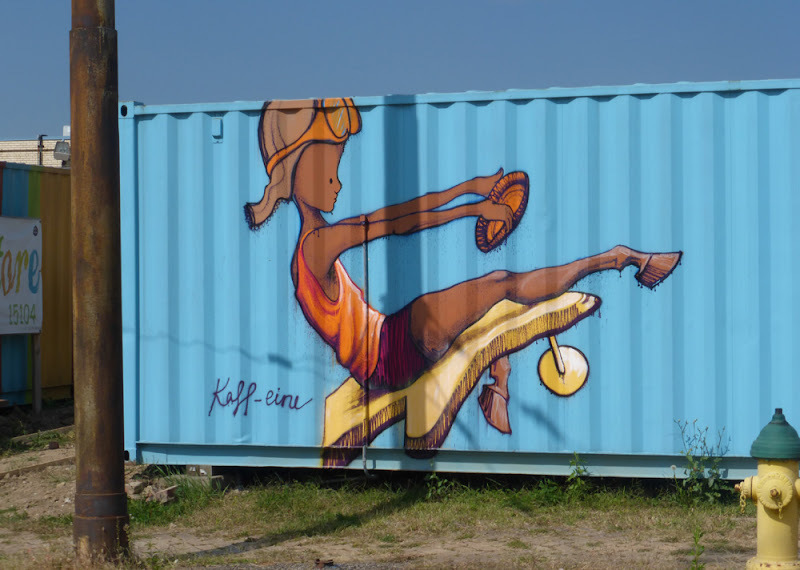 Visiting Pittsburgh in 2014, Kaff–eine was introduced to Braddock by a local gallery owner and she took the time to contribute to the town’s growing outdoor gallery of murals by well known street artists. This piece is on the back of the Red Lantern Bike Shop, next to the town’s free store. It’s colorful and whimsical and a welcome addition to the neighborhood. 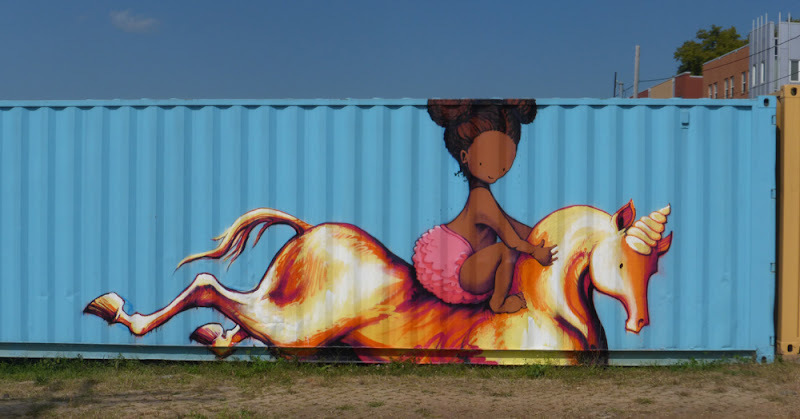 Kaff–eine describes the figures as meant to be light, fantasy pieces, with children flying or soaring up . With any luck, we’ll see more of Kaff–eine’s distinctive characters around town in 2016 when she hopes to return here.